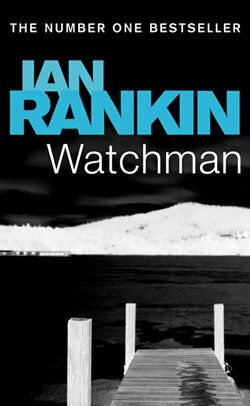 Watchman is a novel written by the British crime novelist, Ian Rankin, famous for authoring the John Rebus series. This is his third novel, released in 1989. The book does not feature Ian Rankin's most famous character John Rebus but a similar character named Miles Flint. This novel is a stand alone as of now (and presumably, will remain one). Miles Flint is a spy, working for the MI5. The story takes place in London (as far as I know, this is one of the two plots of Ian Rankin which takes place outside Scotland). He voluntarily takes up a mission of spying an Arab, which he fails, and results in the killing of an Israeli national. This was not even supposed to be his mission and the day when he failed was actually supposed to be a day off for him. Hence, he gets into the bad books of his superiors and he is given a chance to rectify his mistake. His superiors send him to Belfast, Northern Ireland, during the war. Little does he realise that this is the most dangerous mission that he has ever undertaken and every moment that he survives is a bonus. The main reason why I decided to read this book was because I read that Jim Stevens, a journalist who featured in the first John Rebus novel, Knots and Crosses was also a character in this book. But, this book was quite disappointing, partly even because of Jim Stevens' trivial role in it but there are also other significant reasons. There were too many characters and too many turns in the plot which made it difficult to understand. In fact, I felt that the story began only after half the book was over but when it began, it was fast-paced and was nice. What I really appreciate in this book was that at a time when I felt that there were going to be too many loose ends in this book, but, the author brilliantly covered it up, towards the end. This is neither a good book nor a bad one. I don't think might be worth buying but one can certainly lend it from a library or a friend to read it. I give this book a rating of 5/10.